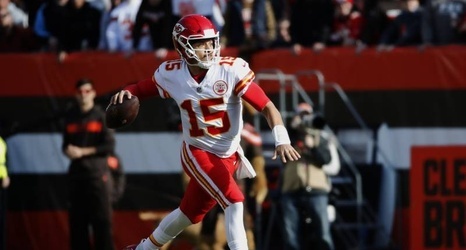 The breakout season for Kansas City Chiefs quarterback Patrick Mahomes hasn't slowed down, and the chances of him winning the NFL's Most Valuable Player award continue to grow. According to OddsShark, Mahomes is now listed at -150 to win the honor ($150 bet wins $100) after leading his team to an 8-1 record. While he has been the favorite since the end of September, this is the first time he is better than even odds to win. New Orleans Saints quarterback Drew Brees is in second place with 3-1 odds to win.